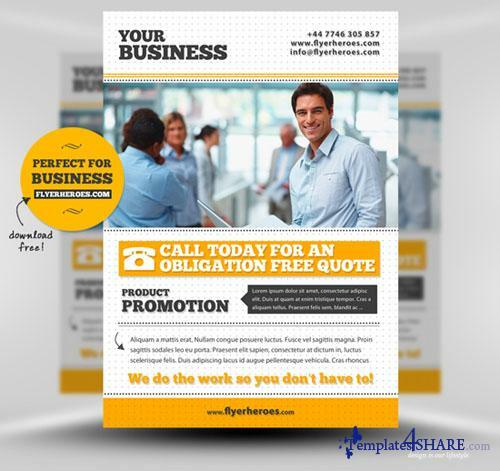 Business flyer template, perfect to download and use for all your small business and corporate clients. You could even adapt it to help promote your own services! This business / corporate flyer template is a simple, typography-based design, very easy to customize and adapt to any business related project you may have. Easily replace the logo/feature images etc.